1. First things first, what is DuitNow? DuitNow is an upcoming interbank fund transfer service introduced by PayNet, the financial network that operates banking and payment systems like MEPS, FPX, and Interbank GIRO (IBG). The new service will enable consumers and business owners to send and receive money instantly on a 24/7 basis via mobile phone numbers and/or registered DuitNow IDs instead of having to exchange bank account numbers. 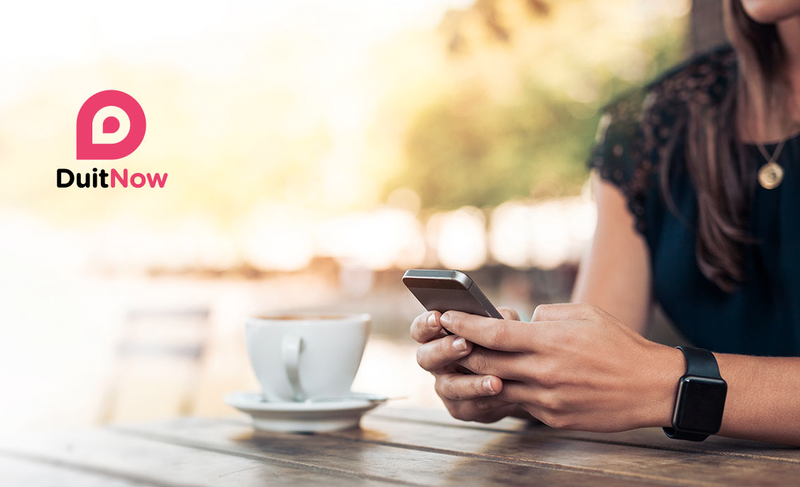 DuitNow will be integrated into the Mobile and Internet Banking platforms or your respective banks as well as the mobile apps of participating payment providers. The service is expected to be officially launched in December 2018. 2. How does DuitNow work? Much like its name suggests, the fund transfers are expected to occur immediately. As such, recipients should receive their money almost instantly upon confirmation. For added security, the registered account holder's name will be displayed before you can complete the transaction, so make sure you check all the details before confirming the transaction. DuitNow allows for scheduled and recurring transfers. You can also add favourite recipient(s) to the system so you can perform subsequent transfers to the same DuitNow ID with fewer steps. 3. What is a DuitNow ID? - Business registration number (only applicable for SSM-registered businesses). Any and all of the aforementioned identifiers can be used to register for a DuitNow ID, as long as they have been verified by your bank(s). However, one ID can only be registered to one bank account, regardless of whether the accounts are from the same bank or different banks. Interestingly, you don't actually need a DuitNow ID to send payments, but you definitely need one to receive payments. If you have more than one account with a particular bank, you may be prompted to select a bank account to link your DuitNow ID to. 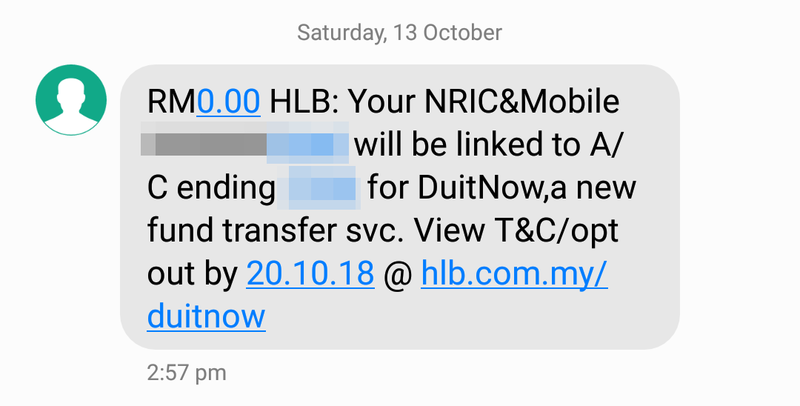 In Hong Leong Bank's case, your DuitNow ID will be linked to the most frequently used banking account in the past three months. You can expect to receive confirmation of successful pre-registration via SMS from end of October onwards. If you miss out on the deadline, don't worry. 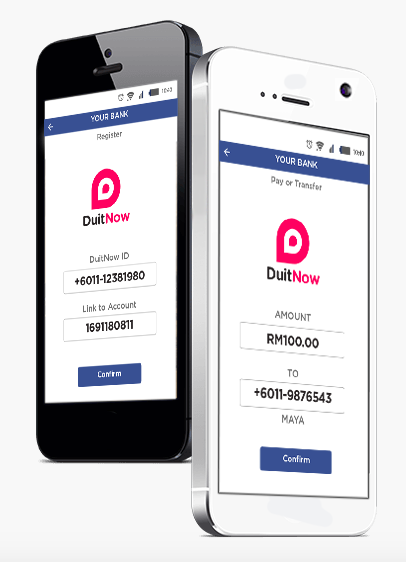 You can de-register your account via your bank's mobile or internet banking platforms when DuitNow is officially available to the public in December. 7. Didn't receive the SMS? You'll have to wait 'til the service is officially launched in December to sign up. Those who wish to edit the details of their pre-registered DuitNow profile will also have to wait until then to do so. 9. Is there a transaction limit for DuitNow transfers? Individual consumers can transfer up to RM100,000 per transaction at banks, while businesses can transfer up to RM100,000,000 per transaction. However, the amount may vary according to the banks and e-money payment providers, so do check with your respective banks for more info. 10. 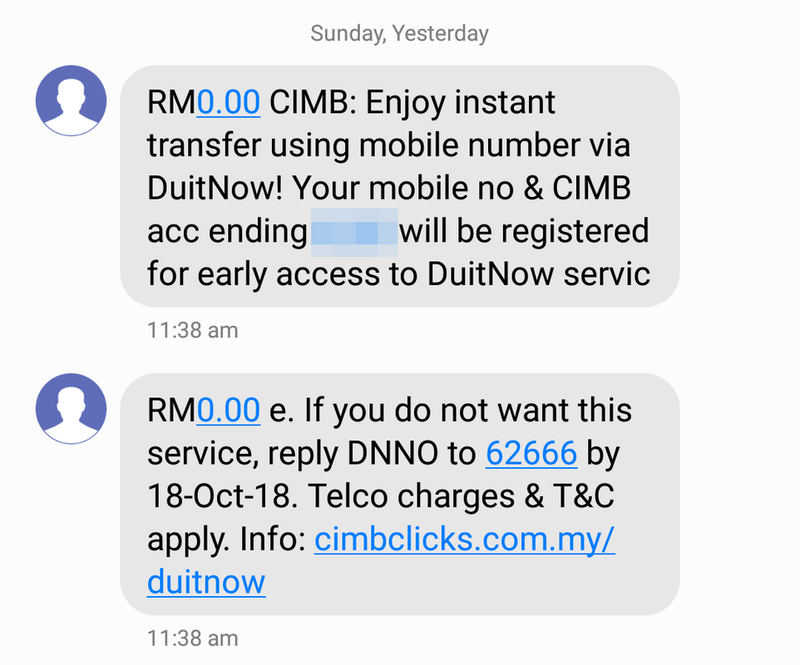 Will there be extra fees or charges for using DuitNow? There will be no extra charges for consumers to send and receive money for transactions amounting to RM5,000 or below. A RM0.50 fee may be applicable for transactions more than RM5,000, although some banks may opt to waive it. The telco recently introduced a 1Gbps package, hence becoming the first in Malaysia to launch a gigabit package. The tech giant is back for an annual roast session. A forwarded message is not confirmation your account was hacked.